Minister of State Fergus O’Dowd defends James Reilly’s handling of Health – and despite reports of €1 billion of total cuts, says some areas are improving. THE BESIEGED HEALTH Minister has been called “a reforming minister” by one of his government colleagues. Fergus O’Dowd, Minister of State for the NewEra project, told RTÉ One’s The Week in Politics that James Reilly had been relatively successful in his ministerial post. A front page report on the Sunday Business Post today claims that huge cuts to health services – and not just reform – will be necessary to reach the reduced Health budget next year. While the stated figure of cuts is €666 million, it was reported last week that the figure could be closer to €1 billion. It’s a very difficult job we have, we’re doing it extremely well. Minister Howlin is meeting bilaterally with every minister, including Minister Reilly, in relation to the Budget. There seems to be a conspiracy somehow at Cabinet level to do down Mr Reilly. Independent TD Catherine Murphy claimed that Health had been “badly administered” and that the health boards had not essentially been phased out but that they were “still there – with the HSE on top”. The reason we are in this situation is because of the troika. We are balancing our budgets. Email “"James Reilly is a reforming minister" says ministerial colleague”. 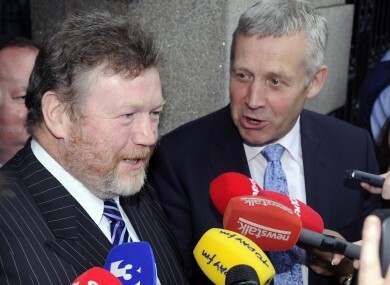 Feedback on “"James Reilly is a reforming minister" says ministerial colleague”.